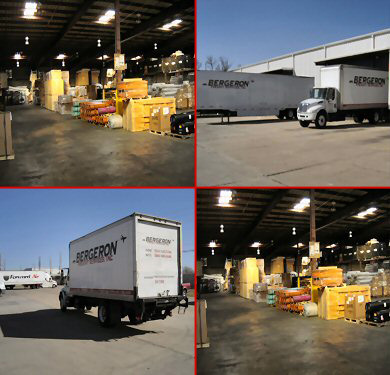 Bergeron Freight Services, Inc is a full service pick-up and delivery company operating out of New Orleans International Airport (MSY) for over 12 years. As a complete and diverse cartage company offering air and ground freight, we specialize in distribution, conventions, tradeshows, and full white glove residential service; all available 24/7. We service the New Orleans metro area and the Mississippi Gulf Coast with a fleet that consists of 24' box trucks with lift gates, cargo vans, as well as 28', 48', and 53' tractor trailers. We cover a wide area yet we are small enough to cater to your specific needs as priority. BFS has recently purchased Crown Freight Management Systems Version 5. Customers can retrieve, in real time, vital shipment status online. Customers with EDI (Electronic Data Interchange) capabilities will receive shipment status directly into their system. BFS prides itself with courteous, uniformed drivers providing quality customer service. Like in my touring days, I wanted to create a company that goes above and beyond to be the best of the best. All are welcome.